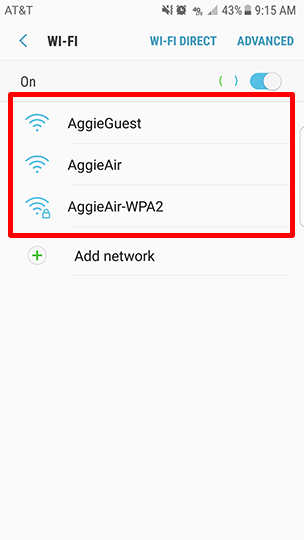 Following the directions below will assist you to connect your mobile device to NMSU wifi (AggieAir). 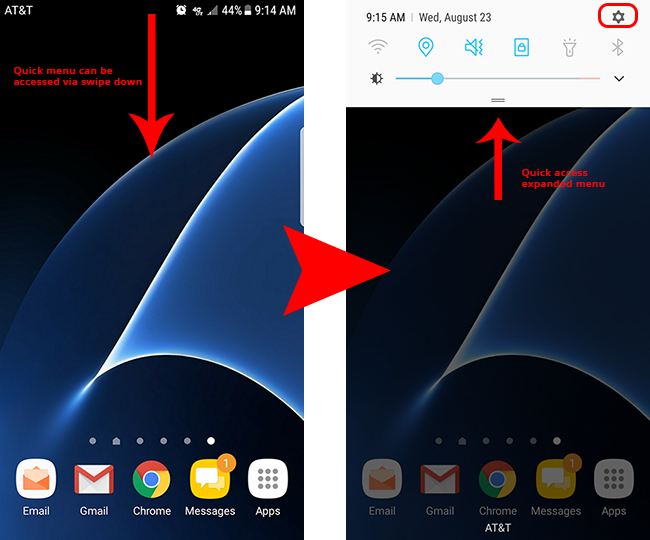 From your home screen, swipe one finger down from the top of your screen to display the Android quick menu. Once expanded, select the settings gear displayed in the top right corner of the screen. This will take you to the "Settings" menu. 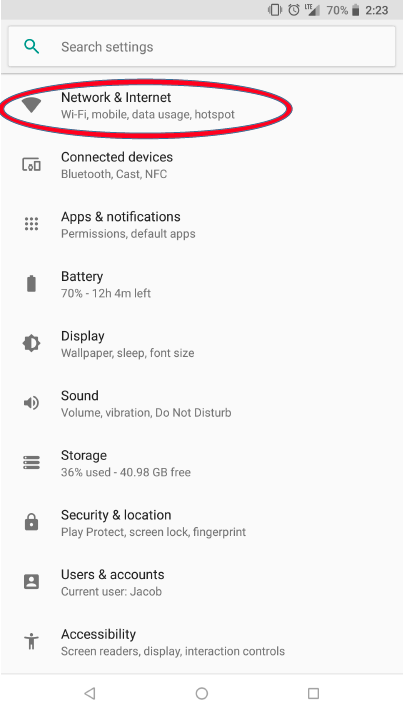 Once on the settings menu, select the "Connections" option at the top of the list or the "Network & Internet" option depending on your device. At the Connections or Network & Internet menu, make sure your Wi-Fi switch is set to "on", displaying the small white button shifted to the right. Once Wi-Fi has been turned on, a wifi connection prompt will appear. From this screen, select the internet access you would like to connect to: AggieAir - NMSU's general Wi-Fi available to all faculty, staff, and students, AggieGuest - 1-hour access to any guest to campus, AggieAir-WPA2 - Encrypted internet access available to all faculty, staff, and students. 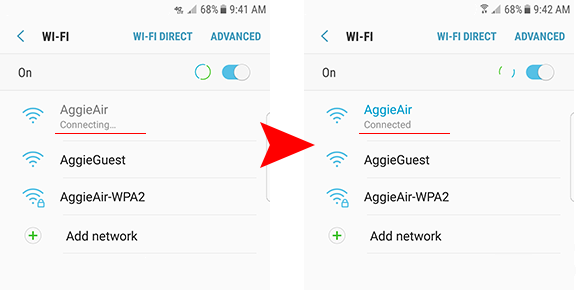 After selecting the Wi-Fi connection you would like to connect to, input your myNMSU username and password (AggieAir and AggieAir-WPA2) in the appropriate fields or complete the Net Registration and service agreement (AggieGuest). 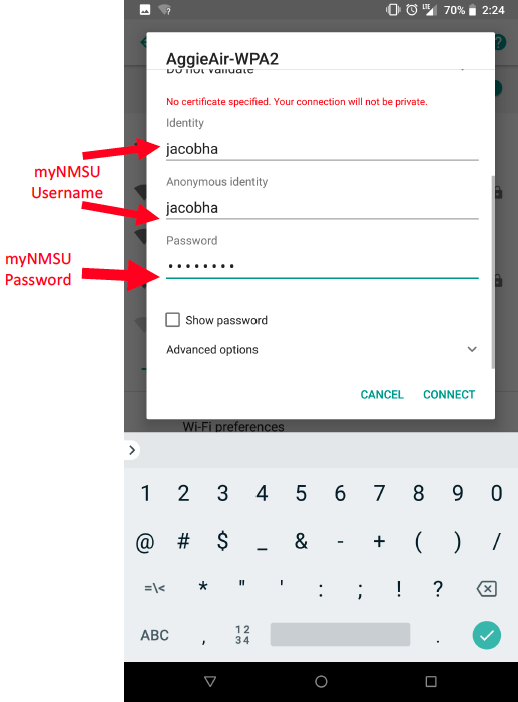 After completion, you will be connected to the chosen NMSU wi-fi connection. 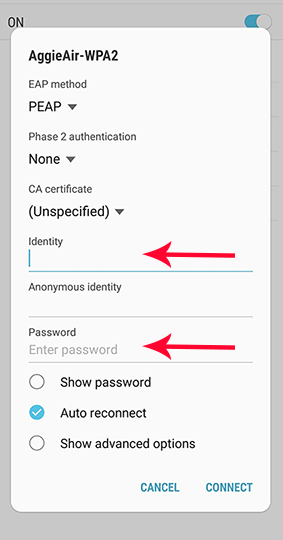 *Android devices connecting the AggieAir-WPA2, specifically Samsung, ask for your Username as "Identity" and Password. These fields require your myNMSU Username and Password. Note: If you have not registered the device that you are attempting to connect please click here for Windows devices and here for Apple devices.